This isn’t a recent outfit but I had to dig it out, to participate at Judith’s Hat Attack and Patti’s Visible Monday linkups!I hope it was worth it. Have a lovely Monday! Details: Beret – Dorothy Perkins, Playsuit – ASOS, Breton Shirt – Zara Lefties, Boots – DR Martens, Ring – present from Amy. Sun gets in your eyes. oh, la la, I love this beret and you look adorable. Thanks for sharing with Visible Monday, xo. Very playful and creative! 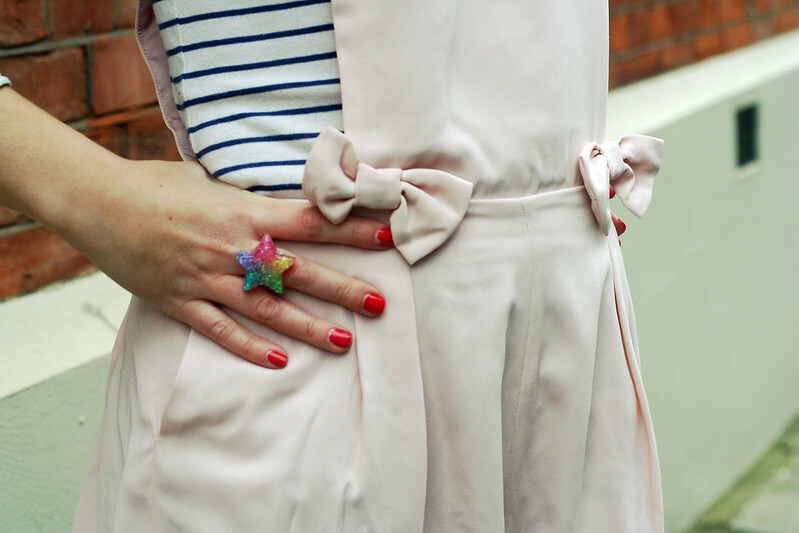 I love the details on the playsuit and the beret. Thank you for sharing with Hat Attack! Very cute and sweet outfit. Funky, but I love it. The pink and then the black shoes are neat. And ofcourse, the hat!! Came over from VM- CUTE beret!!!! The whole outfit is really sweet! Oh, Sara! 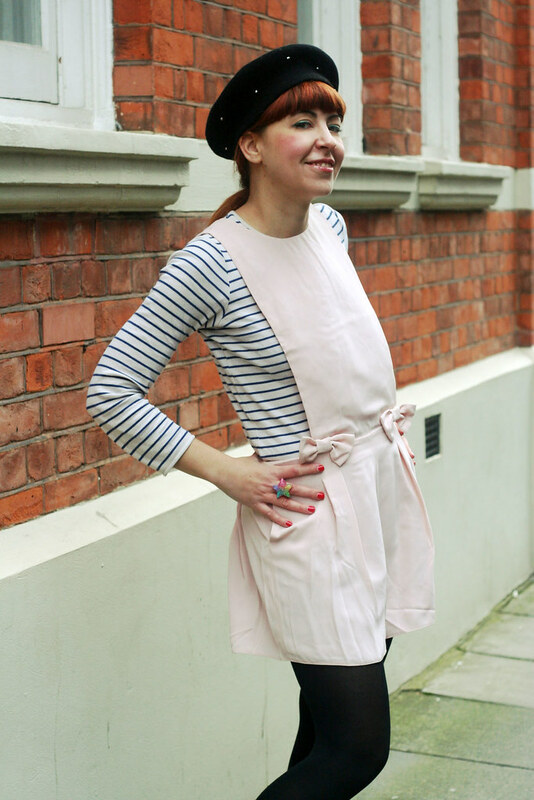 Great you, great beret … love, love, love the little playsuit with the very cool Breton. Yes, it was worth pulling out these photos – they’re great! 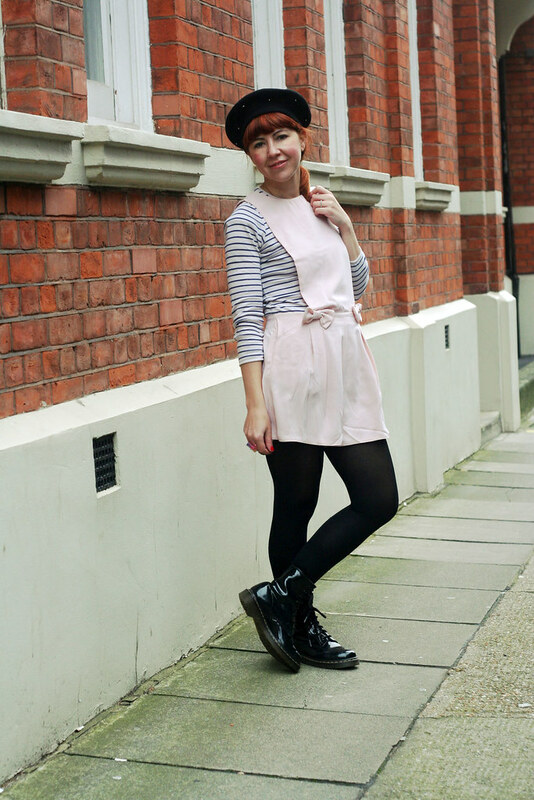 I love the pinafore and the stripes and the beret. You look like a very hip au pair, the kind that any kid would love to have.